Young people across Scotland have been creating their favourite Scottish landmarks for this map of Scotland. A selection of the buildings and landmarks submitted so far, with some recent additions. Can you spot yours? Sculptor and designer of the Kelpies, Andy Scott. 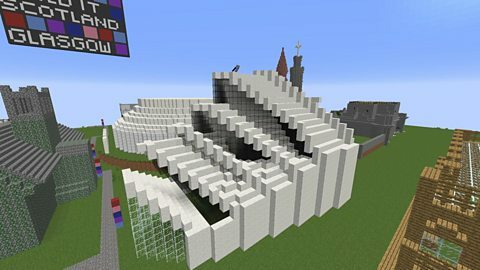 Do you love building? Then maybe one of these jobs is for you! Our series of short profile films uncover the links between gaming and digital building, and a range of exciting STEM related jobs. What is Build It Scotland? 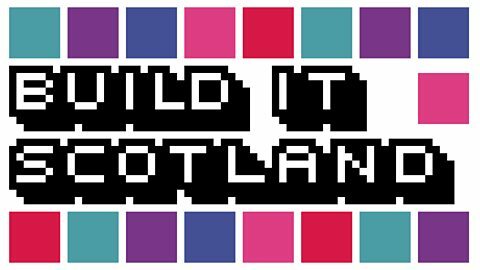 Build it Scotland allows you to design and build a range of landmarks using 3D design software such as Minecraft, Tinkercad or Sketchup using PCs, laptops or Raspberry Pi's. A variety of Build it Scotland resources allow you to do this and can be used in conjunction with current projects like 2017's Year of History, Heritage and Archaeology. Build it Scotland was launched in 2016. We marked Scotland’s Year of Innovation, Architecture and Design by encouraging budding architects to find out more about the nation’s popular landmark buildings including Stirling Castle, the Kelpies, Glasgow’s Armadillo and the Forth Bridges. Even though our project has now come to a close, our step by step instructions and accompanying video tutorials are still available. Have a look at our new picture gallery, of Build it Scotland's recent week-long event at the Mitchell Library in Glasgow. Pupils from Ibrox Primary School visited the BBC to experience Build it Scotland. With the help of the LAB, they made a film about their day. Listen to Stephen from the Build It Scotland team talk about games based learning and changing attitudes towards computer games. When Netty came to Play! 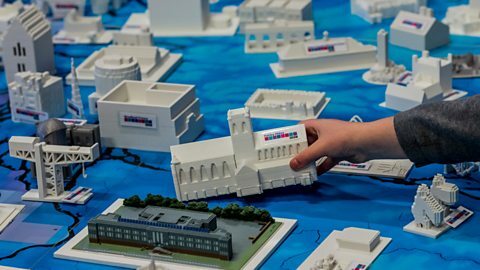 Children build their very own digital and 3D printed versions of Scotland’s landmarks. Stampy Cat, aka Joseph Garrett, talks about what it takes to be a successful YouTuber and offers insights and secrets into how he works, all while creating a special Minecraft Christmas episode LIVE. Martel Maxwell is on a quest to find out about the world of digital technology. It's all around us - but what does it take to create something new? And do you need to be good at coding? What does it take to turn your idea for a digital invention into a success? Martel Maxwell meets young inventors and visits a business conference for digital creatives, investors and advisers. Guides to help you get started, whether you’re using Minecraft, SketchUp or Tinkercad.